We are proud to announce the following three New Telescopic Drapery Upright Products have been added to our range. It is important to note the valuable features we have designed into these which will aid installation and durability, especially for the busy professional. The latest (and highest!) addition to our extensive range of uprights employs the popular ‘Easy-up’ system to maintain ease of use you already enjoy with our other telescopic uprights, with the added benefit of being able to reach from 2.4m to 6.1m high, and of course any desired height between. The quality Black anodised finish lends this upright to the AV industry. In addition a bottom collar is incorporated for durability. We are particularly pleased to have added feet markings to assist during installation. As with all our telescopic uprights, we include the correct spigot – just add base plate; we recommend our 24″ (600mm square) plate for this upright. We would also recommend additional Base Weights when extending to above 14ft. This new addition to our range is designed with high durability features especially suited to contractors. Being one of the most popular models due to its relatively compact size yet it has 3 sections for reach from 1.8m up to 4.2m with the ‘Easy-up’ system means you can set it to any desired height in between with the added aid of feet markings. The top crown is made from Steel, and the base of the pole has a thicker collar. Spigot is included, simply add a base plate. Fully compatible with our range of drape support crossbars. Back by popular demand! Where transportation space is limited this 3 piece ‘Easy-up’ pole will cater for drape support heights between 1.8m and 3m. As usual we include the required spigot, simply add base plate. A valuable new feature we have added is the thick collar at the end of the pole for enhanced durability. 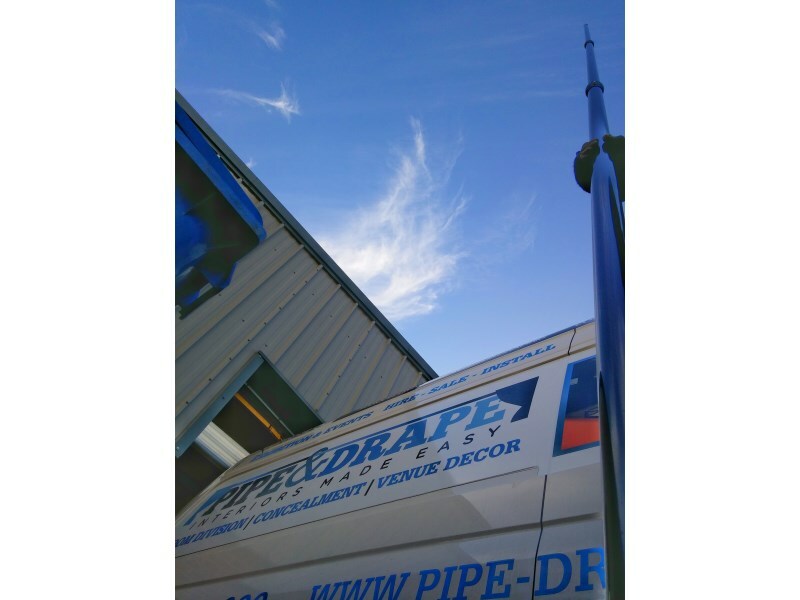 Next post: Pipe & Drape TV – our new YouTube channel!